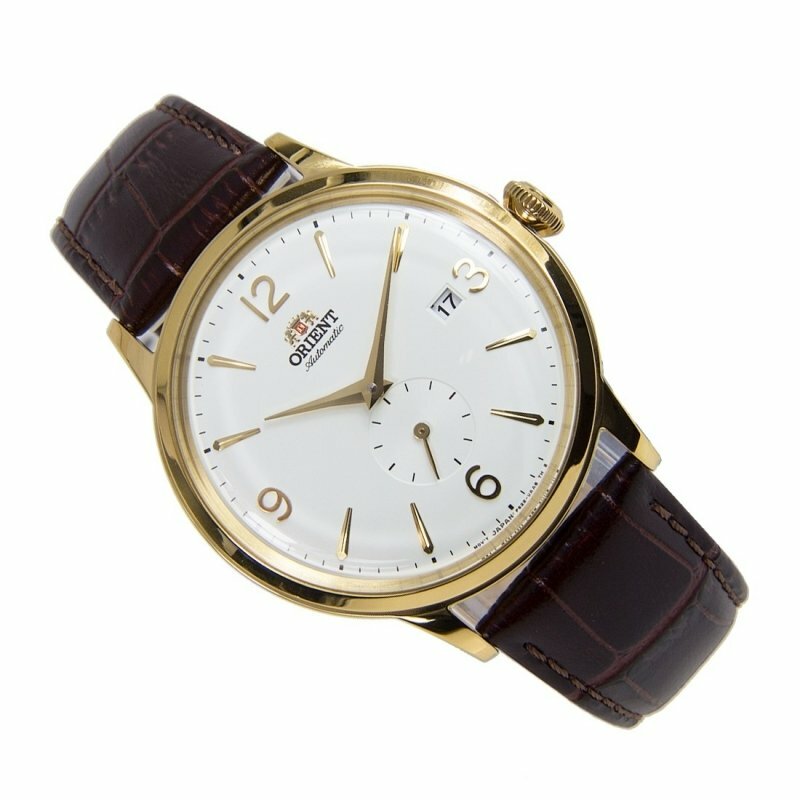 The Orient AP0004S is a gorgeous, stylish watch with vintage styling and retro domed glass. Under the hood you will find the automatic, in-house, Made in Japan, Orient Cal. F6222. This is a new generation movement that has upgraded features, such as hacking (the seconds hand stops when you set the time) and handwinding (alongside from the automatic winding by the rotor). This movement features a small seconds hand at 6 o'clock and a date at 3. The watch itself looks stunning. It goes goes back to the roots with a seemingly simple design, however the details are magnificent. The hands are in the 'dauphine' style, which compliments the index markers beautifully. The glass is the 'piece de resistance' it is domed, which makes this watch stand out to anyone with good taste. This model resembles the Orient Bambino line in terms of size and feel. This watch is also sold as the Orient RA-AP0004S10B and RN-AP0004S and has a durable yellow gold PVD coating.